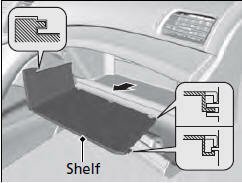 The shelf in the glove box is detachable. To remove it, disengage the tabs. 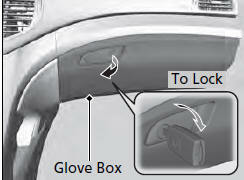 An open glove box can cause serious injury to your passenger in a crash, even if the passenger is wearing the seat belt. Always keep the glove box closed while driving. The glove box light comes on when the parking lights are on.